I have a love/hate relationship with messy play, I find it hard to let my anxiety levels stay down enough for the girls to actually enjoy it. But I’ve have got better over the years and I know how much they love it, which makes me want to do it for them. 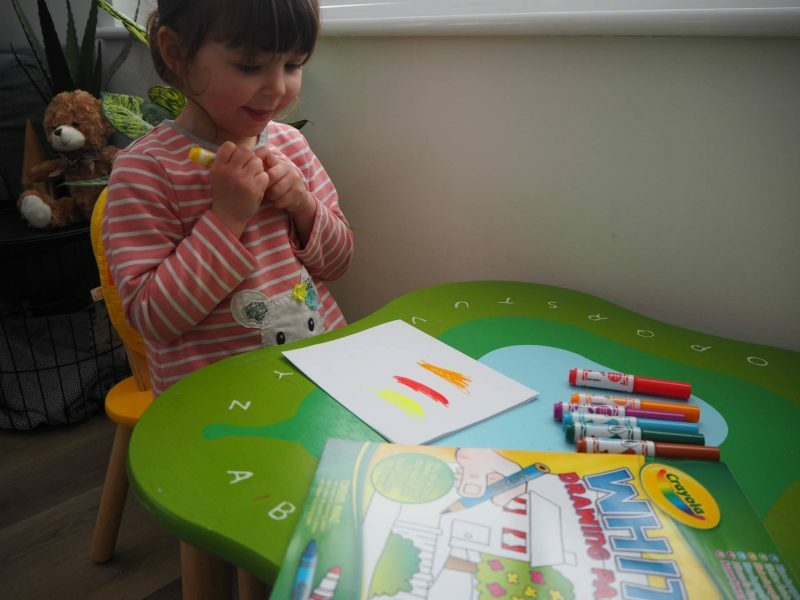 We were recently sent some great goodies from Crayola, a brand that we use a lot in our house. With Holly at home when the box arrived she was very excited to get started. 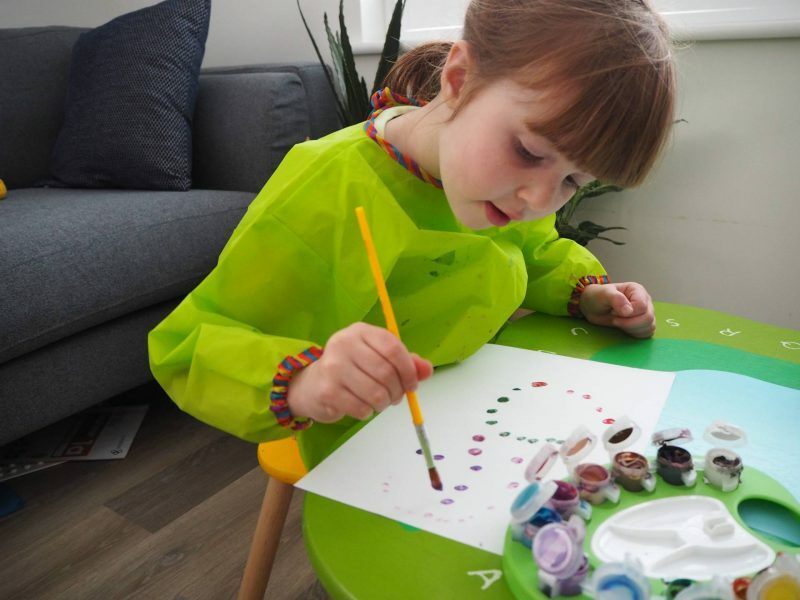 Holly is a little girl that loves to do colouring, she sits for ages just colouring and drawing. 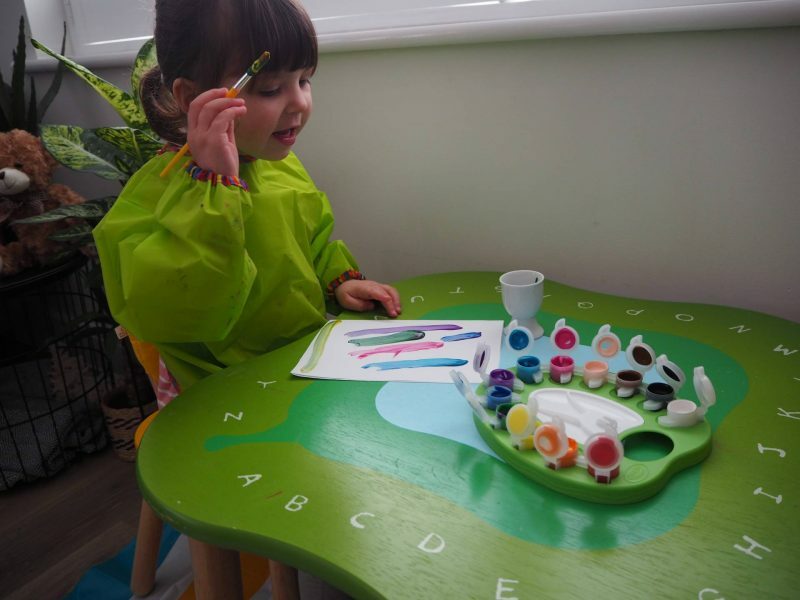 It wasn’t long before she wanted to do some painting and I really liked the look of the paint palette we had been sent, plus it’s washable paint. 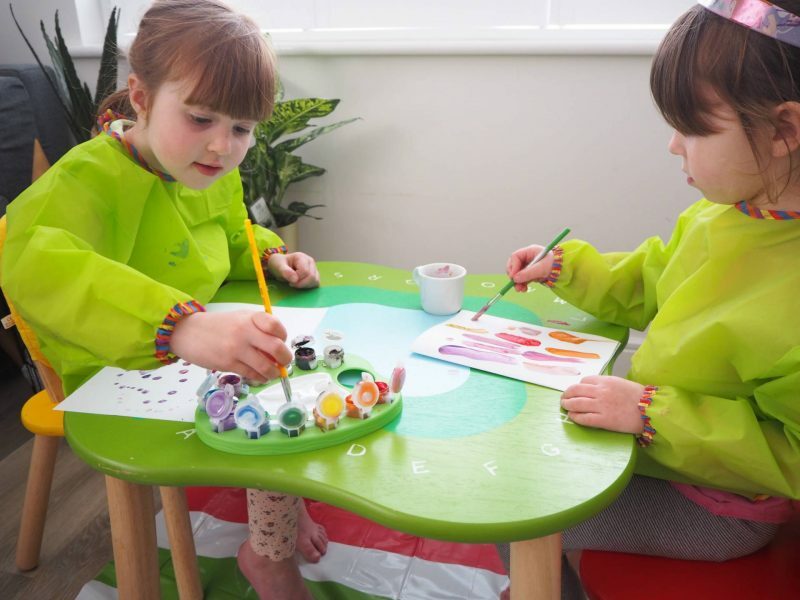 Holly put on her painting apron, I put the wipe clean cloth on the floor under her table and chair and she was ready. It was lovely to see how much fun she was having and it’s a good job Crayola sent us some paper as she didn’t stop. 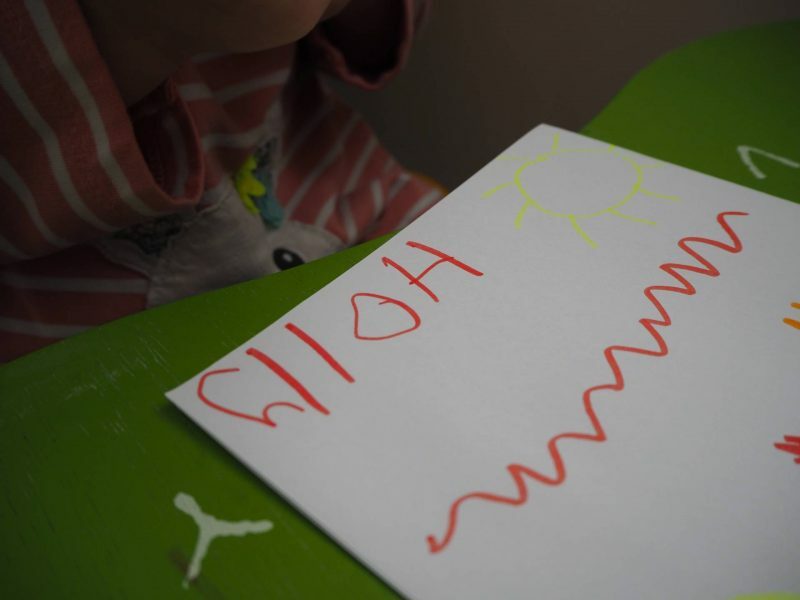 When Alice came home and saw that Holly had been painting, she wanted to do some too. So the next day after school, we got the paint out again and they did some painting together, which they loved. 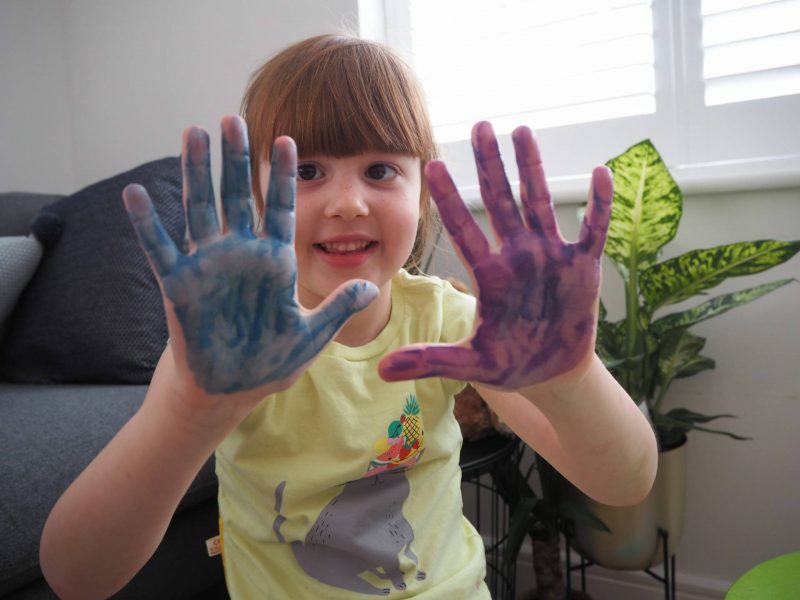 We then decided to do some hand prints and we painted Alice’s hands. This is about as messy as my girls get! The best bit, the paint all just wiped off her hands with a baby wipe. No mess, just lots of fun! 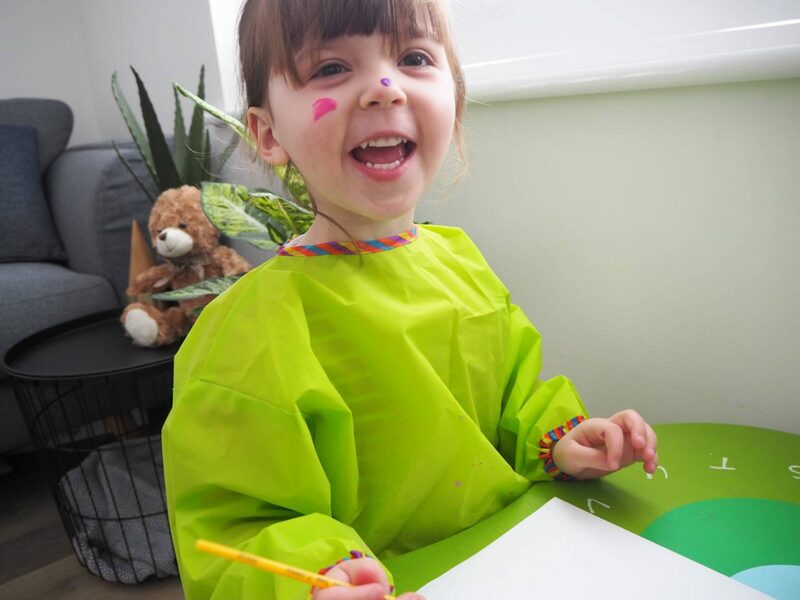 Crayola are launching a #MessyKidsContest on the 2nd April and they want to see your photos of your messy children. It’s all about celebrating creativity, whilst having some fun along the way. 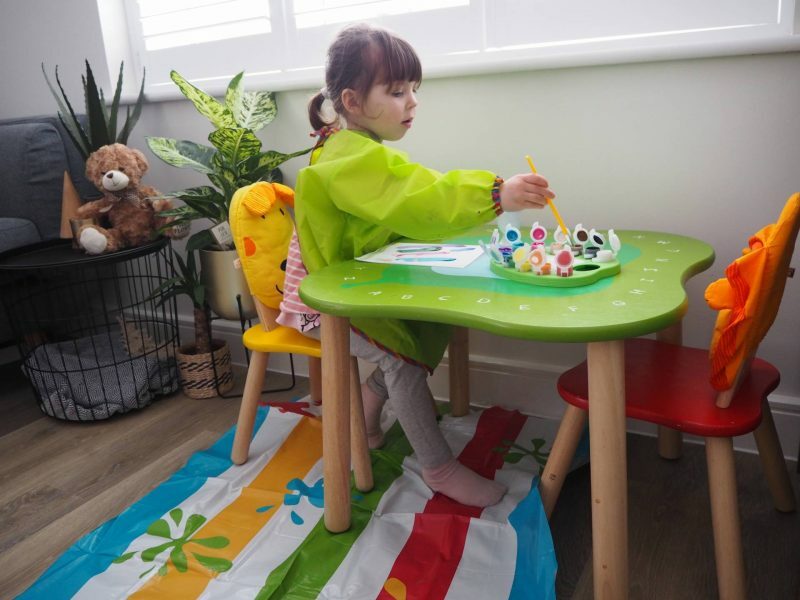 Crayola have set up their brand new UK Facebook and Instagram pages and to enter the competition they would like you to share your photos on either Facebook or Instagram using the hashtag #MessyKidsContest. It starts on the 2nd April and closes on the 16th April 2018. There will be 4 winners and they will each receive a fantastic Color Wonder prize bundle worth £100. Which is an amazing prize. Disclosure: This post is in collaboration with Crayola and we were kindly sent our products to enable us to create this post. Oh, I love Crayola! Really good, reliable paints, pens etc that you know won’t harm them when they do get messy. It looks like they both had great fun. I’ve got one that likes getting messy and one that won’t unless she’s on a bike! Oh it looks like you had lots of fun. I have one who loves getting messy, unless it’s food and then it has to be wiped straight off. What an amazing prize too, I love Crayola stuff. Oh this looks fab! 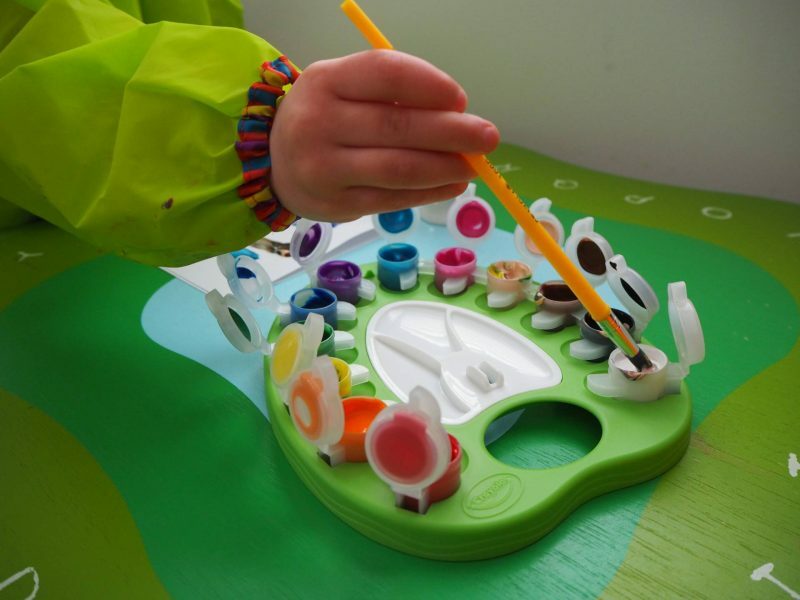 Oscar loves messy play and I really struggle with it all! Zach on the other hand, he loves to be clean haha!! 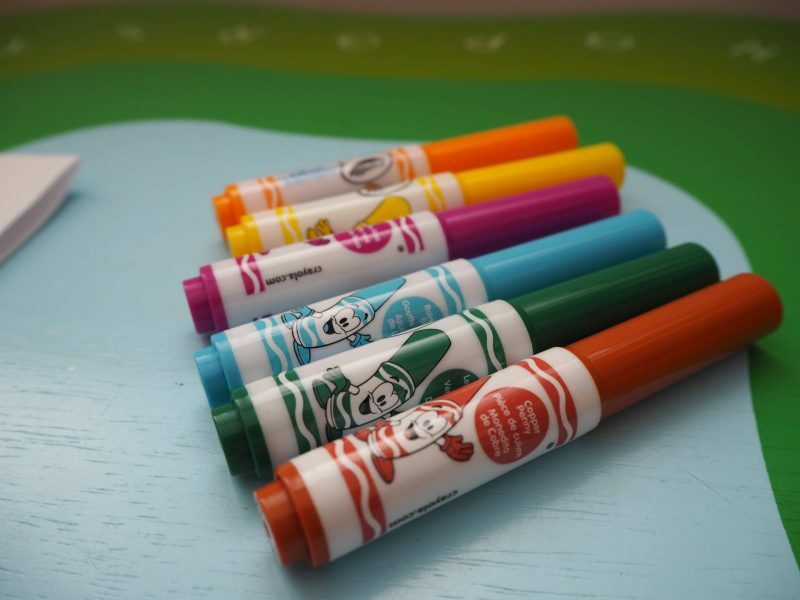 I love crayola – they always have such great products! Ahh so much fun! We have been doing the same and the kids just love getting messy! I love crayola, you really can’t go wrong with them at all!